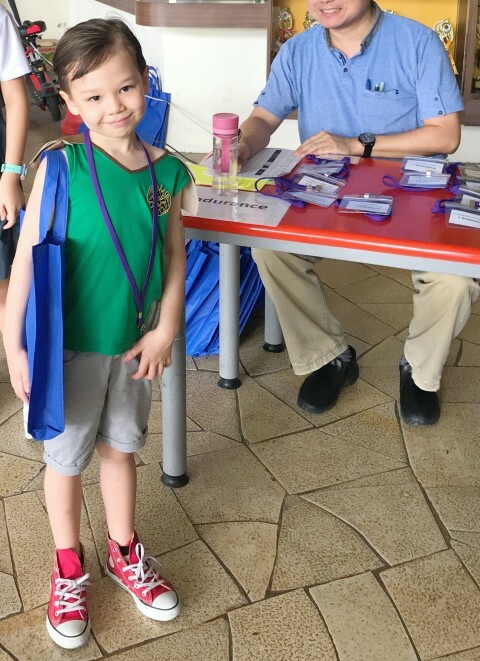 HUNTER’S PRIMARY ONE ORIENTATION | Beverly's Net: family. food. fashion. 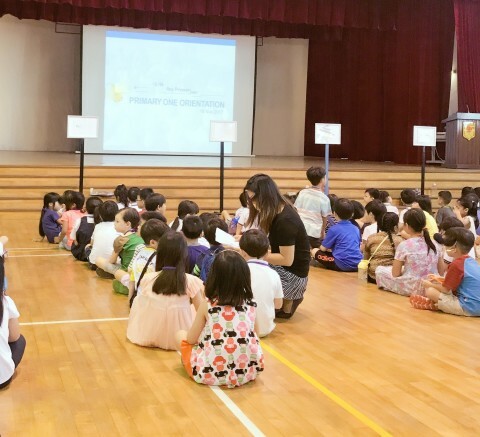 HUNTER’S PRIMARY ONE ORIENTATION – Beverly's Net: family. food. fashion. I wouldn’t consider myself a sentimental kind of person. 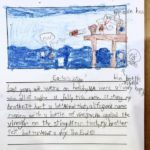 So the thought of Hunter heading off to Primary One next year was something that I found quite exciting, and was looking forward to it. 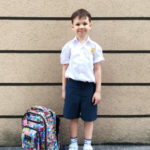 Seeing him in his new – and massive – school hall. One tiny person in a crowd of many tiny people. Looking very, very alone. All the kids were really silent and well behaved as they assembled and sat by class. I suppose almost all of them were strangers to each other, so they didn’t have mates next to them to chat with. 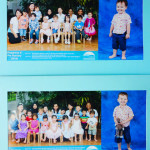 My heart did funny little flip flops, looking at my lil boy (the one clad in green in the pic above!) silently sitting there, eyes wide, taking it all in quietly. Hunter is NEVER speechless, so I could see he was equal parts curious and overwhelmed. 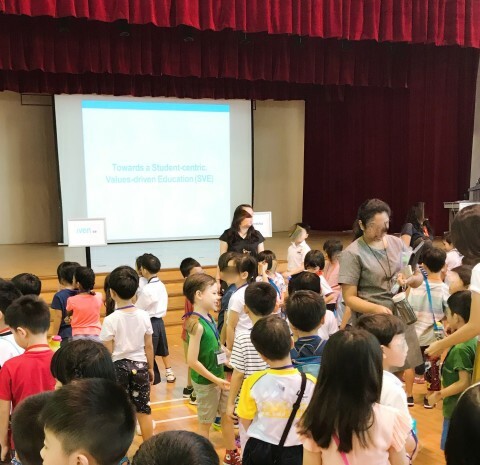 The kids were then led off by their new teachers to their new classrooms, where I hear they did a round robin of introductions. Hunter said his hobby was “building things, and folding things out of paper”. And this was them when they came back about one hour later. Looking a lot more comfortable, don’t you think? Especially Hunter, Mr Sociable, who was busy chatting and making friends with the kids in his class! 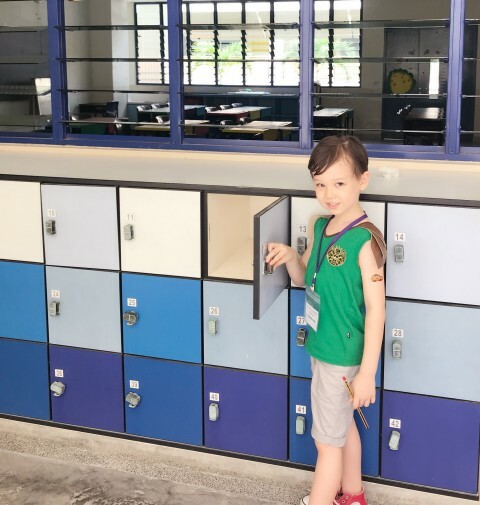 In Singapore, each kid gets a little locker to put their books into, because kids here have a HUGE amount of textbooks and workbooks. Like, HUGE. He’s in for quite a shock! 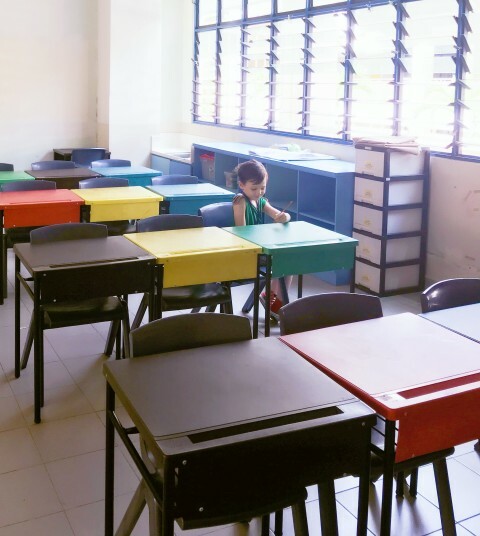 The classrooms here also aren’t air-conditioned. I have no idea how the kids survive it, and more so the teachers. I pray that the days are cool, or everyone in the class will be too sweaty to concentrate, let alone learn! When I asked him how it all went, Hunter was fairly subdued. And each time I mentioned starting school afterwards, he had this pensive, subdued expression on his face. I didn’t quite know what to make of it. Was he anxious? Happy? Scared? It was hard to tell. And I didn’t want to force any answers out of him. Feeling a bit relieved (I didn’t know how I would’ve responded if he’d replied the former! ), I asked him why. His reply? 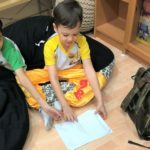 “Because I get a new school bag, pencil case, and water bottle”, he grinned cheekily. Well… I guess that’s a good an answer as any! Hi Beverly. I remember when I first started reading your blog when you were living in China and I was too. And your blog was on livejournal and not blocked over there haha! Haha yeah, time does fly! 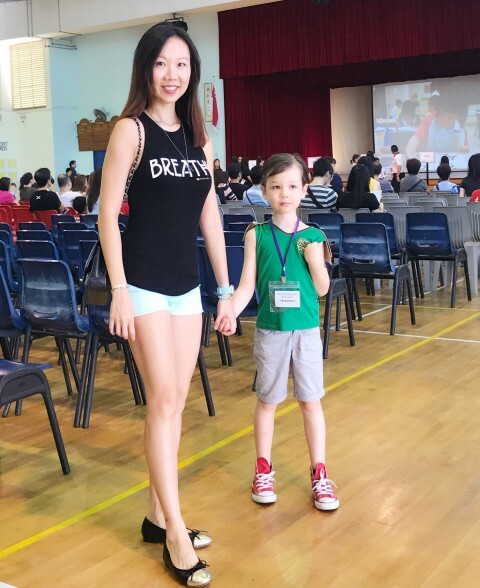 I do miss Shanghai heaps but Singapore is waaay easier living when we have lil kids in tow. Hope all is well with you! !